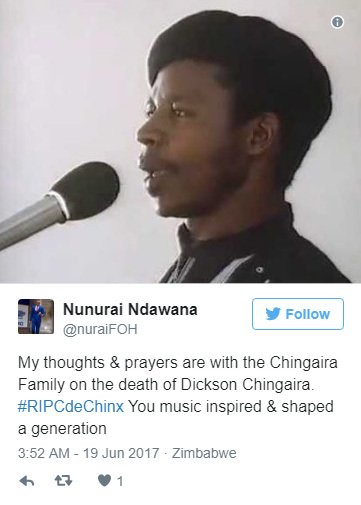 Tributes are pouring in for prominent Zimbabwean musician Dickson Chingaira following his death at the age of 61 after a battle with leukemia. 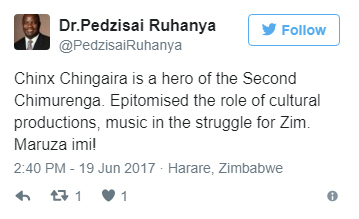 Fellow musician Thomas Mapfumo said that Zimbabwe had lost a giant, a true patriot and revolutionary whose music had inspired the black majority, the privately owned New Zimbabwe news site reports. .
"We do hope he will get the honour he deserves as a true national hero of our time," he added. 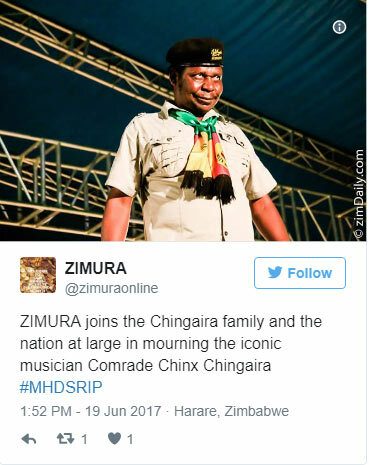 Ruling Zanu-PF party spokesman Simo Khaya Moyo said that Chingaira - popularly known as Cde Chinx - was a talented musician whose songs were a tonic for cadres during the liberation struggle and after independence, the state-owned Herald newspaper reports.